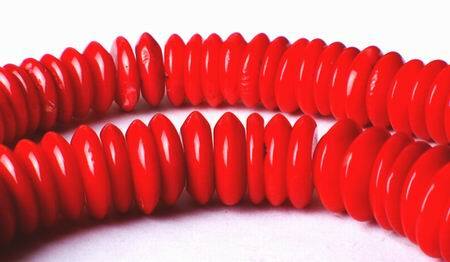 Sorry, we are currently sold out of '56 Large 12mm Fire Red Coral Disc Beads'. Please check back later. Price is for about 56 of these beautiful beads - ready for stringing. Each disc measures 12mm x 4mm. Genuine Chinese coral.